A bottlenose dolphin bound for Resorts World Sentosa's (RWS) Marine Life Park (MLP) died before arriving in Singapore on Thursday. Wen Wen, a male dolphin estimated to be ten years old, died suddenly less than an hour before his flight landed in Singapore from the Philippines where it had been kept in captivity for training purposes for four years. Two marine mammal veterinarians and eight marine mammal specialists were accompanying Wen Wen, who was among the 11 dolphins on the flight. They responded with emergency medical treatment, said the Park in a statement. No medical results or behavioural observations indicated that Wen Wen was in a compromised condition to make the journey. "A necropsy was performed this morning in the presence of Agri-Food & Veterinary Authority of Singapore (AVA) officers. Over the next few weeks, further laboratory tests will be conducted in Singapore and the United States to assess any contributing factors," said the MLP. "Wen Wen was a sociable dolphin that survived a shark attack in the wild and had the scars of a shark bite on his torso. Wen Wen and his trainer had developed a strong bond during their four years together. He will be sorely missed," the Park added. 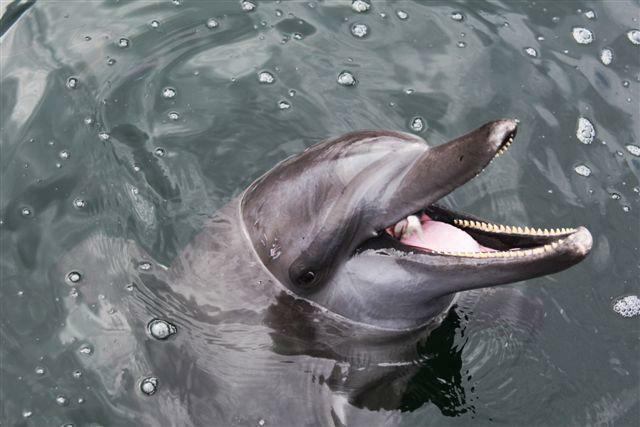 Louis Ng, founder of animal welfare group ACRES, said that he is saddened by the loss of yet another dolphin. "We urge RWS to do the right thing and work with ACRES and Earth Island Institute to rehabilitate and release the remaining surviving dolphins back into the Solomon Islands waters," Ng said in a statement. The 24 remaining bottlenose dolphins, some of whom had arrived safely earlier this week, are currently acclimatizing and quarantined at MLP. Ng and other animal activists around the region have been campaigning for the release of the remaining dolphins, who they argue cannot flourish under captivity. In October 2010, two other female bottlenose dolphins died when they were held at a holding area in Langkawi Island, Malaysia. 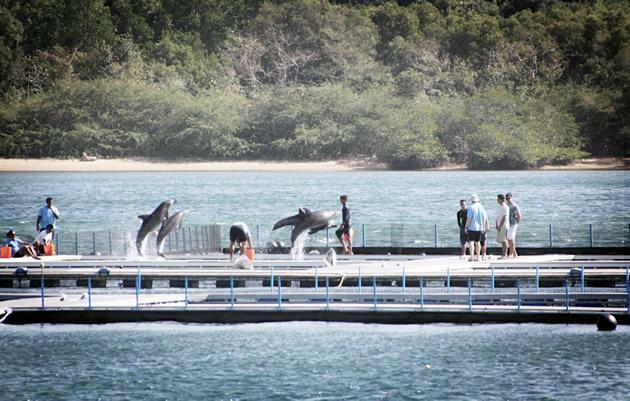 Both dolphins died from an acute bacterial infection.